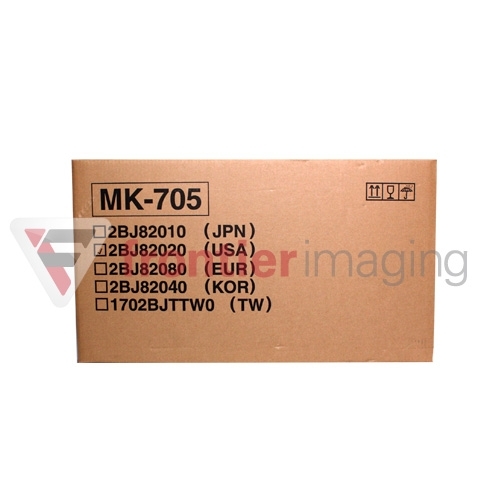 This Kyocera Mita MK-705 PM Kit (2BJ82020) is an original Kyocera Mita product that will work perfectly with your printer/copier/fax. With the Kyocera Mita MK-705 PM Kit (2BJ82020) ,you are guaranteed reliability and a high quality output to satisfy your printing and copying needs. You can be assured that this OEM product's performance will be consistent with the original cartridge that came with your brand new machine.